Buddhist Psychological Ethics, übersetzt aus dem Pali by C.A.F. Rhys Davids (Oxford: Pali Text Society, 1900). The Book of Analysis, übersetzt aus dem Pali by Ven. U Thittila (Oxford: Pali Text Society, 1969). Discourse on Elements, übersetzt aus dem Pali by Ven. U Narada (Oxford: Pali Text Society, 1962). A Designation of Human Types, übersetzt aus dem Pali by B.C. Law (Oxford: Pali Text Society, 1922). Points of Controversy, übersetzt aus dem Pali by S.Z. Aung and C.A.F. Rhys Davids (Oxford: Pali Text Society, 1915). Conditional Relations (vol I), übersetzt aus dem Pali by Ven. 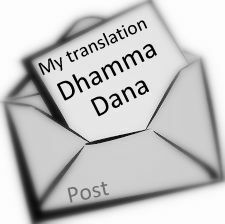 U Narada (Oxford: Pali Text Society, 1969). Teil I of the Tika-patthana section of the Patthana. Conditional Relations (vol II), übersetzt aus dem Pali by Ven. U Narada (Oxford: Pali Text Society, 1981). Teil II of the Tika-patthana section of the Patthana. A Guide to Conditional Relations, übersetzt aus dem Pali by Ven. U Narada (Oxford: Pali Text Society, 1978). An introduction and guide to the first 12 pages (!) of the Patthana. Abhidhamma in der Praxis, by N.K.G. Mendis (Kandy: Buddhist Publication Society Wheel Publication 322, 1985). Ausführliche Anleitung zum Abhidhamma, Eine: The Abhidhamma Sangaha of Acariya Anuruddha, Ven. Bhikkhu Bodhi, ed. (Kandy: Buddhist Publication Society, 1993). This book, an expanded treatment of Ven. Narada's classic A Manual of Abhidhamma (see below), should be required reading for every Abhidhamma student. It gives a remarkably lucid and insightful overview of Abhidhamma philosophy. Even if you read no further than the Introduction, your efforts will be well rewarded. Manual of Abhidhamma, A: The Abhidhammattha Sangaha of Anuruddhacariya (fourth edition), übersetzt aus dem Pali by Ven. Narada Maha Thera (Kuala Lumpur: Buddhist Missionary Society, 1979). Available online at BuddhaSasana. A classic work that provides an excellent introduction to the essentials of Abhidhamma study. Largely superseded by Bhikkhu Bodhi's expanded and more thoroughly annotated A Comprehensive Manual of Abhidhamma: The Abhidhamma Sangaha of Acariya Anuruddha (see above) but useful in its compactness.